This Ultimate Thick and Creamy Chocolate Peanut Butter Protein Shake recipe tastes like an indulgent milkshake without any of the guilt! Protein shakes really save me when I am short on time or when I just need quick snack to cure my sweet tooth. Plain protein and water shakes just do not cut it! 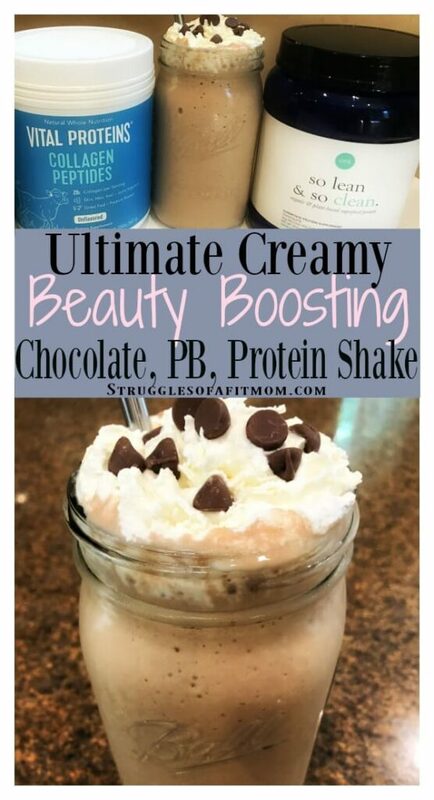 Instead, I love a nice and creamy, thick and filling protein shake as a meal replacement and this ultimate chocolate peanut butter protein shake is my number one go-to. I honestly make it at least four days a week. The avocado and frozen banana make this shake SO creamy and thick that it can even be enjoyed with a spoon. Just slightly cut back on the milk to make it a little thicker. Enjoy this desert like treat can be enjoyed anytime of the day, guilt free. The beauty boosting benefits of protein make this shake perfect for those wanting a sweet treat without sabotaging your weight loss goals. When freezing bananas, be sure to either cut them in half or into small pieces before freezing. If not using a high power blender, I recommend making sure to slice the banana thin enough for the power of the blender. I absolutely love my Vitamix blender for smoothies and it can handle half of a frozen banana like a champ! 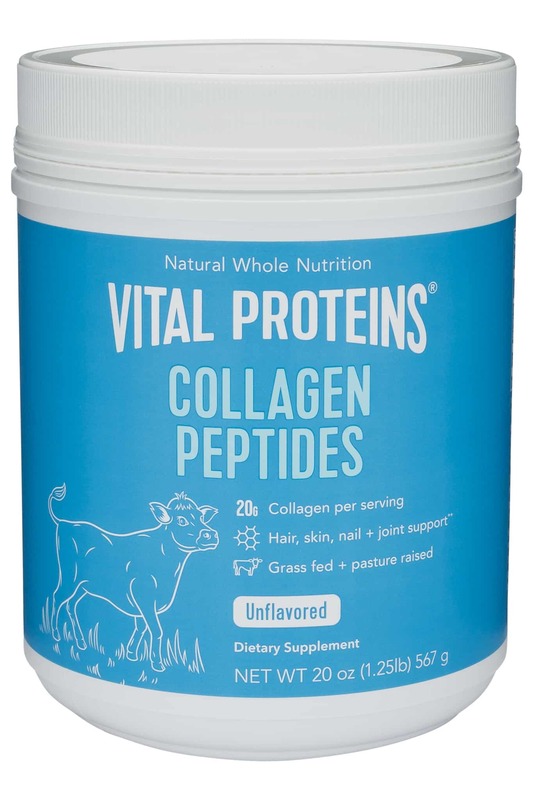 To capitalize on the benefits of protein shakes, I suggest finding a very clean and easily digestible protein powder. Many powders on the market are loaded with additives that are borderline unhealthy, especially during pregnancy. While I am a very frugal mama, protein powder is not something I suggesting cutting corners with. If you have never experienced protein powder bloat, consider yourself lucky! I make a mother-daughter Ultimate Creamy Dreamy Chocolate Peanut Butter Banana Protein Shake with a few different ingredients. Cheers! How do you think frozen avocado would effect this? I throw avocado in the freezer when I can’t finish a whole one and don’t want to waste it…but I currently have frozen avocado that I don’t even know what to do with!